Braille paper can vary greatly in thickness and quality. Low quality paper cannot withstand the stresses of Braille production and therefore is susceptible to poorly formed dots, paper tears and dust that can damage the embosser. For these reasons, Braillo produces their own custom Braille paper that adheres to the highest standards. Offered in two standard thicknesses (light & heavy), this dense, tightly woven paper is purposely engineered to not only produce a quality Braille dot, but for the Braille dot to hold its shape over many uses. Our Braille paper is available in continuous/tractor/fanfold, roll and cut sheet formats. Our quality continuous (tractor/Z fold/fanfold) Braille paper is a perfect match for your high speed Braillo Braille embosser, or any personal/production Braille embosser. 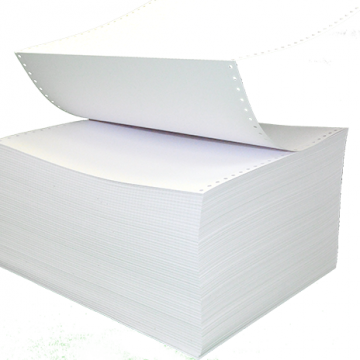 Multiple sizes and formats are offered in both heavy and light weight paper thickness. 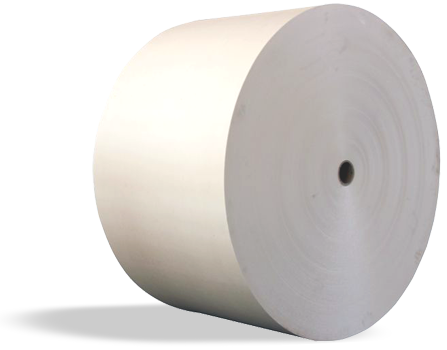 We offer large Braille paper rolls for your production Braillo Braille embosser, or any Braille embosser using roll format. Multiple sizes and weights are offered. Being the largest supplier of production Braille embossers world-wide, Braillo knows what paper works best, and how to ensure a consistently high quality Braille paper product. Our Braille paper handles the heavy demands of production embossing, and it is used in some of the largest Braille production facilities in the world. Likewise, it also works exceptionally well to meet the lesser demands of smaller, personal-use Braille embossers. It is durable and allows for longer lasting Braille dots. It is consistent in color, texture and thickness order after order. It does not cause excessive wear and tear on Braille embossers. Continuous Braille paper has clean perforations and hole punches. Braille paper rolls are properly packaged and palletized. It is a finished product that is both pleasing to the touch, and the eye. We are experienced in all shipping options. Simply call or email us – we will provide same day quotes on all Braille paper, as well all shipping options available. We are capable of this fast turn-around time because we keep all standard, high quality paper in stock, and for custom orders, we can process them quickly. We can ship via any preferred carrier or method; this includes air, sea and truck freight on pallets, in containers, and more. To help prevent damage to the paper during shipping, we use specially designed, triple-walled cardboard boxes for our continuous feed options, and for Braille paper in roll format, the rolls are specially-wrapped in moisture-proof materials. Mill – We use a specific mill in order to ensure consistency and top quality. We provide a Braille paper product that is not only top quality but also dependable from order-to-order. Specifications – Our Braille paper is acid free, dust free, and chlorine free. It was formulated to a highly specific thickness and weight, in order to withstand the stresses of Braille embossing and to also ensure that the Braille dots are of the correct height, shape and durability. Processing – Rolls arrive specially-wrapped to withstand potential damage during shipment. When the Braille paper is ready to be processed, a roll of Braille paper is run through a converting machine, thus taking it from roll format to continuous feed or cut sheet format. Perforation blades and punches are changed often to guarantee clean edges and hole punches. The finished Braille paper product is run through a vacuum system and tested before the paper is boxed for shipment. We are able to deliver value and competitive pricing on its Braille paper, because we manage the nuances of production, we buy in bulk, we have dependable relationships with our paper mill and suppliers, and we listen to our customers’ feedback and aim to meet their Braille paper needs. We are able to offer customizable products, since all of our Braille paper is processed in house. We can produce all standard Braille paper sizes and punches in Plain, 3 Hole and 19 Hole options; however, we have the capability to provide a wide variety of different sizes and punches. Furthermore, we can provide our same high quality paper in different weights and colors, as well. While there may be minimum quantity requirements for some custom orders, please contact us to get our thoughts and to find out what options are available. We will work with you to create individualized Braille paper options to meet your needs.